After 12 years of rocking hard, the New Bomb Turks, the boys that put Columbus Ohio on the map, are finally ready to graduate. The ceremony is called "The Night Before The Day The Earth Stood Still" and it will take place at a record store near you. 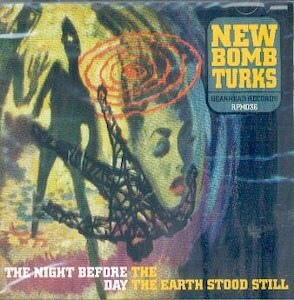 A masterpiece of songwriting, concept and production, this LP is the ultimate blend of the Turks early blistering punk Style.